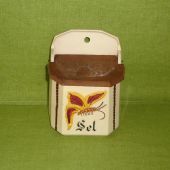 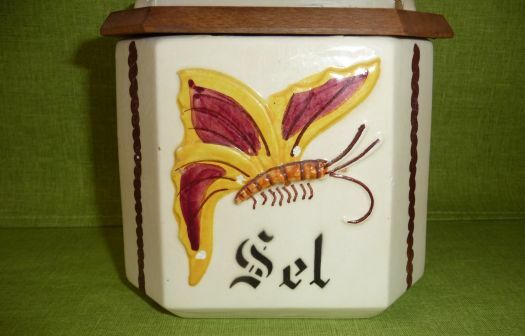 Rare salt box with raising butterfly. 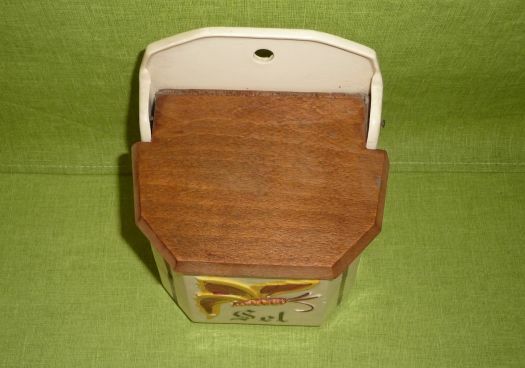 Very good condition, only 3 white points in the yellow part of the butterfly ; probably it could be hidden with some yellow color. 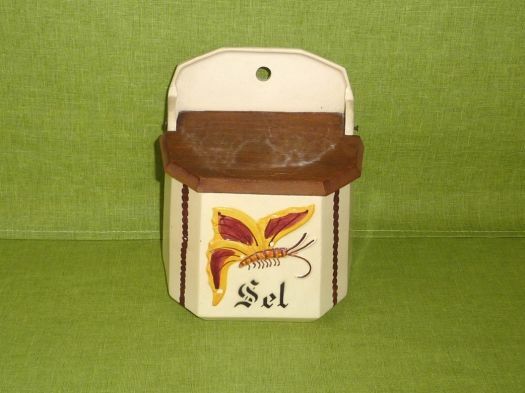 You will notice the nice shape of the box and the elegant lettering.